How have iconic lighthouses situated on precipitous reefs, survived for a century or more? Will they survive into the future? To answer these questions the University of Plymouth has been conducting research into wave loading on rock lighthouses over the past few years. A pilot project on the Eddystone Lighthouse led to the multi-partner Engineering and Physical Sciences Research Council funded STORMLAMP (STructural behaviour Of Rock Mounted Lighthouses At the Mercy of imPulsive waves) project. The research team recently worked with the Filmbright video production company to produce a short film on the project to date. Context for the film was provided by the UK General Lighthouse Authorities, and the historic background to the lighthouses by the Plymouth City Museum and Art Gallery historian. Academic partners were all filmed in their respective work environments, describing their contributions to the project. At the University of Plymouth the film crew were able to capture aspects of the physical modelling of lighthouses in the COAST Lab facilities. At the University of Exeter the modal testing and monitoring of the actual lighthouses were described, explaining the accelerations arising from wave impacts. At University College London details of the lighthouse construction were revealed, and it was demonstrated how data from Plymouth was being applied to numerical structural models. 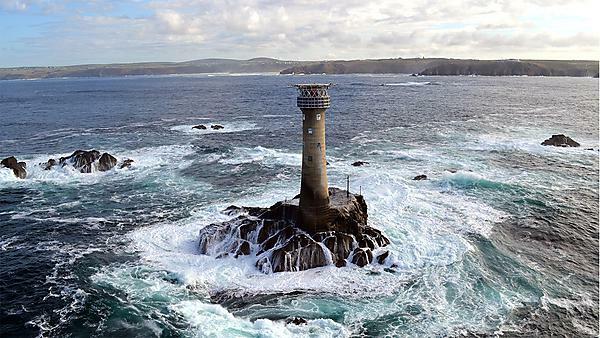 The film, which was part funded by the Sustainable Earth Institute and the Marine Institute at the University of Plymouth, also features dramatic footage from the lighthouse deployments that require helicopter transit. The film plays to the strengths of the production company who work closely with higher education institutes to creatively communicate research and education activities. In 2013 Filmbright worked with the University of London to produce a series of online learning programmes for the Coursera platform. Since then they have been collaborating with the worlds leading higher education colleges and institutions both in the UK , US and Europe, to provide exceptional online learning support and production, furthermore to delivering, improving and nurturing their marketing and online learning offerings through video, photography and creative innovation. They currently have offices based in London and Los Angeles.